Hypothetically there are numerous interesting and soul-fulfilling things you can do in any city, country or place on earth. In reality, there is only so much you will actually do in the days you have there. Growing up, I always wanted to visit the Anne Frank’s museum, watch tulips in full bloom, take Van Gogh lessons, and attend a White Sensation party if I ever found myself in Amsterdam. Like life, vacations often have their own plans, so below are the 7 things I did instead. Stay on one of the inner most circles along the canals. Amsterdam city is structured like half a spider’s web with canals running along its concentric weaves. Wake up to fabulous waters each day. Choose among numerous hotel, hostel, & Airbnb options and experience the ‘Amsterdam Lights Festival’ at night along the canals. Indulge at sinful pâtisseries and cafes. European coffee culture I found, much like Australian, is far superior to the American cookie cutter Starbucks takeout coffee. Every quirky barista brews at his/her own pace, taking their own sweet time to make your cup of coffee. The baked accompaniment(s) are dreamy treats to sink into. Lose yourself on the city map. If you are like me and don’t care for cellular coverage while on vacation, navigation can be a real issue. I usually download the city google maps to be used offline and star mark the places I wish to visit that day. Worst case, you will often find Wi-Fi almost anywhere. Also, walking/cycling along lanes less taken is the real fun of discovering a new city. Be legally illegal. In addition to the floating flower market, definitely visit the smoke shops and the red light areas for the fun of it. They don’t call Amsterdam the sin city for nothing, much like Vegas. Only better. Both marijuana and prostitution are legal. Just saying. If nothing else, you will make a hilarious evening of the whole experience. Visit the Gunther Von Hagen’s Body World anatomy museum. A must do for the nerd in you. The artist’s ‘Happiness Project’ takes visitors on a thrilling voyage of discovery through the human body, in search of what makes us truly happy and the impact of happiness on our health. More than 200 anatomical specimens of real human bodies show the complexity, resilience and vulnerability of the body. I will let the pictures convey the rest. Take a ride out into the suburbs to meet friends. It is both depressing and wonderful that our friends are scattered around the world. Depressing, for the obvious distance between us. Wonderful because the globe is now your home with access to loving home cooked meals even on vacation. Plus you get to see the city from a local’s perspective. 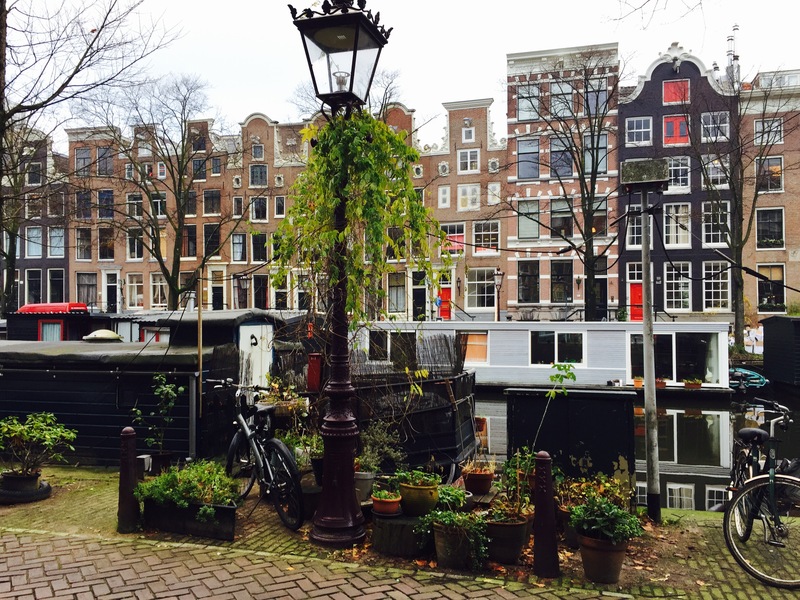 Amsterdam has so much more to offer. But it will all have to wait for the next time. Hope I enticed you enough to consider losing yourself in this fabulous city soon! Previous 7 times I was awestruck in Iceland. Next Paris and 7 ‘first-times’.